At first the location on this military discharge stymied me. Then I looked at the date and it made perfect sense. 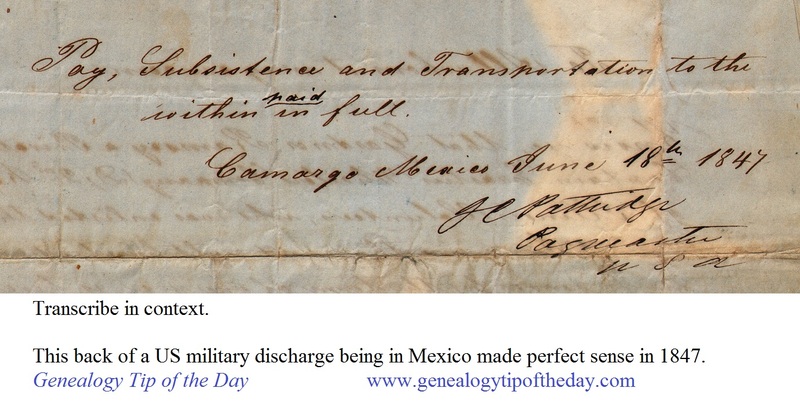 A US military discharge in 1847 could easily have been done in Mexico. A little geographic searching determined the town was Comargo. 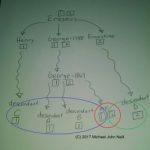 Always transcribe a document in context–it helps. ← Grabbing the First One: Does It Fit What Is Already Known?